The “dearth of campus ministry at community colleges” is one of the issues addressed in a report released in October by the U.S. Conference of Catholic Bishops, which also calls for “greater pastoral engagement of diverse populations” and an updated certification process for Catholic campus ministers. Lay campus ministers tend to be younger than ordained ministers and those from religious orders. The report, from the U.S. bishops’ Secretariat of Catholic Education, estimates that while the church has a pastoral presence on about one-fourth of the more than 3,000 four-year colleges and universities in the United States, it serves only about 1.6 percent of the nation’s 1,500 community colleges. Campus ministers from the missionary model are more likely to focus on personal relationships with God. Survey responses suggest that the two types approach ministry differently. Degree-educated staff tend to emphasize public service and social justice, but missionary-trained staff are more likely to focus on students’ personal relationships with God. 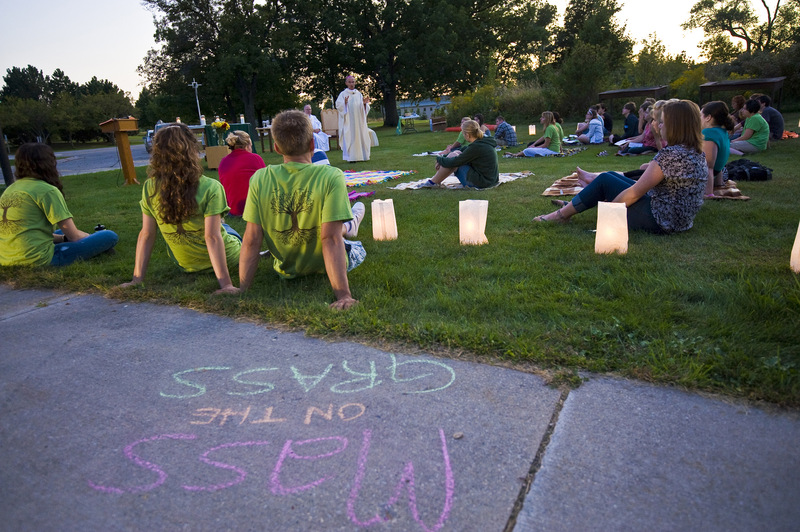 Missionary organization is the newest and fastest-growing type of Catholic campus ministry. According to the report, most campus ministers are indeed open to receiving additional training. They rate “facilitating an encounter with Jesus,” “disciplining others in Christian living” and “accompanying people on their spiritual journey” as areas where they feel they have received effective formation but would like additional training. But though they rate their formation in “navigating diocesan and other institutional structures” and “creating and managing budgets” as subpar, they are less interested in receiving additional training in those areas. Most Catholic campus ministers feel their programs help to prepare students for lifelong relationships with Jesus. Revise and update national standards for Catholic campus ministry facilitated by Catholic Campus Ministry Association. Update and redesign the certification process for campus ministers facilitated by C.C.M.A. Develop guidelines for the formation and ongoing professional development of Catholic campus ministers to be reviewed and approved by the Committee on Catholic Education. Create a diversity initiative to pursue ways of cultivating intercultural competence and greater pastoral engagement of diverse populations on campus. Create a community college initiative to explore innovative and creative means for providing pastoral presence and engagement at community colleges. Source: “A National Study on Catholic Campus Ministry,” United States Conference of Catholic Bishops. The survey was sent to 1,911 Catholic campus ministers across the United States in 2017, and answers were received from 1,117 of them. Those organization work for the students so everyone aims to give the best educational resources to the students and also help to their academic problems. Well, I hope this report will be work for the students and all decision is definitely true which has in the U.S conference. By the way, Our organization MBA assignment help is also working for the students who are helping their academic problems and we also support those firms who support the students. This article also appeared in print, under the headline "U.S.C.C.B. report: Campus ministry virtually nonexistent at community colleges," in the December 10, 2018 issue.